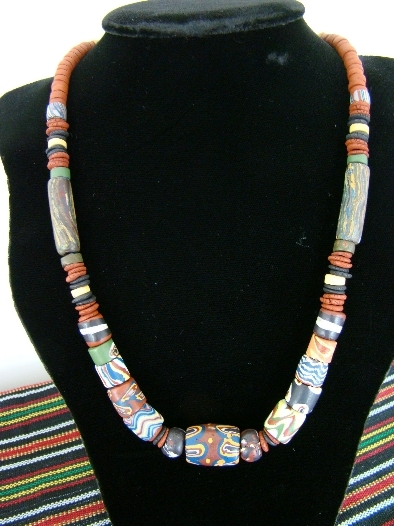 Glass beads are one of the cultural treasures of the Paiwan tribe. From oral legends, these beads are said to have miraculously appeared, and today their origins remain unclear. As there were no records left on how to make these beads, Umass Zingrur carried out research to re-create them, using quartz clay instead of the traditional lead glass. In addition, during his field studies, including interviews with tribal elders, Umass discovered that there are more than two dozen patterns or motifs associated with these beads, each one with a different name, meaning and legend. 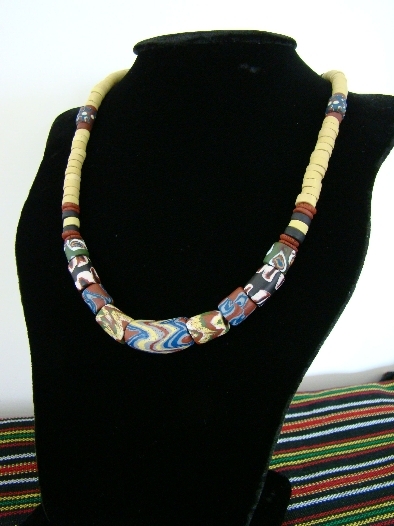 These beads play an important role in the traditional social hierarchy of the Paiwan tribe. Some of the beads were exclusively for the chieftain and clan. 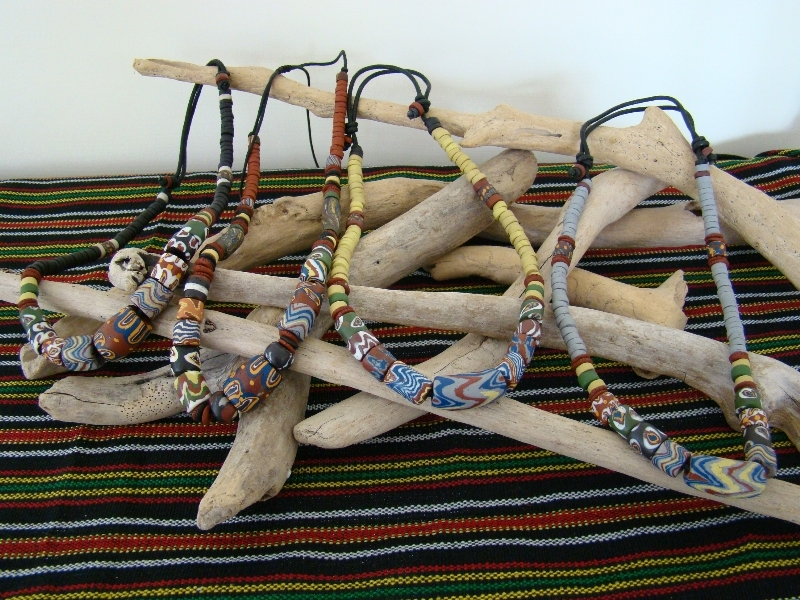 In addition, the complexity of a necklace and the number of strands were associated with social standing. 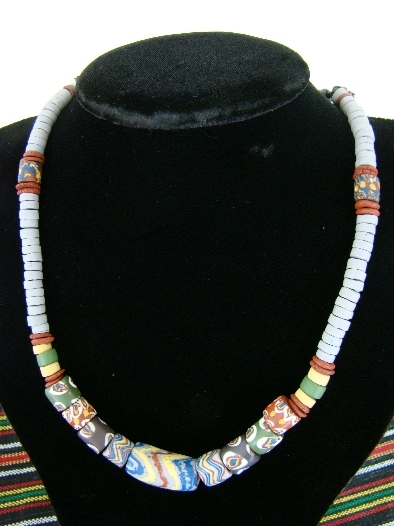 This necklace features a number of patterned beads and smaller multi-colored beads with 20-inch adjustable chain. Note: Necklaces are sold separately. 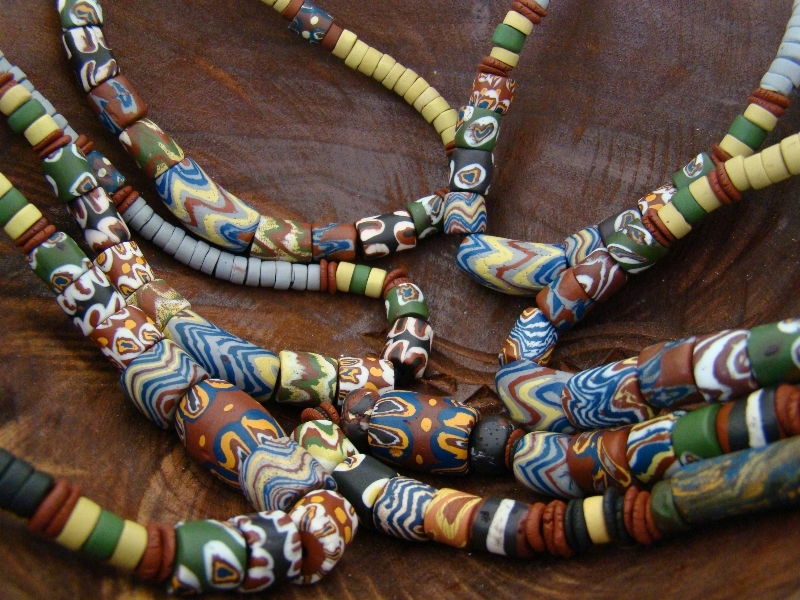 Close-up view of the necklaces showing the details of the handmade beads. Note: Necklaces are sold separately. Umass Zingrur is from the Paiwan tribe in Pingtung County, southern Taiwan. He is affectionately known among the Paiwan as “the father of glass beads”. Glass beads are an important part of the Paiwan culture as they represent social position and wealth, with some considered to provide protection and to keep away evil spirits. They are also essential elements in certain ceremonies and rites, including weddings. With the number of antique beads dwindling, such ceremonies and rites were threatened. Umass took it upon himself to research these beads to understand the process of making them. He learned pottery making and glass art techniques. Although the original beads were made from lead glass, he discovered a quartz clay formula for producing traditional-style beads. The elders and chieftains of the Paiwan tribe have approved of this modification. 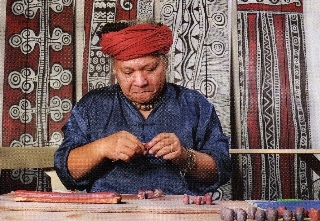 In addition, he has passed on his knowledge to other Paiwan artists, which has initiated one of the most successful cultural industries in Taiwan—the making of quartz clay beads that resemble traditional beads and the making of colored glass beads with more contemporary designs.